The first is Finishing School (1934), released as part of a wave of Ginger Rogers films finally making their way to video. Here, Rogers plays second fiddle to Frances Dee (An American Tragedy), an earnest debutante newly enrolled to a tony all-girls school. Rogers plays Dee's streetwise roommate who persuades her innocent friend to join her on a weekend outing to New York City where she meets a young medical intern (moonlighting as a waiter) played by Bruce Cabot (King Kong). The two fall in love to the dismay of Dee's mother, Billie Burke (The Wizard of Oz), and her headmistress the E-vil Miss Van Alstyne (Beulah Bondi). This pits Rogers and Dee against Burke and Bondi (It's a Wonderful Life) over Dee and Cabot's class-afflicted relationship. This is my first exposure to the charming Dee, but won't be the last. She is quite a beauty. It's also my first experience with Bondi, whose character I found so frustratingly cruel, I nearly launched a shoe at my flatscreen (and maybe would have had I not been in my right mind). I wonder how Bondi's headmistress would respond to some of today's young ladies, even a well-connected heiress like Paris Hilton. The film's ending is marvelously satisfying thanks to its pre-Code resolution. Based on a play, The Two Mrs. Carrolls (1947) never quite gets past its stage-bound origins. Less a film noir than a "veddy British" mystery, Humphrey Bogart is miscast as a tortured artist with a precocious young daughter (Ann Carter), whose first wife died under mysterious circumstances. 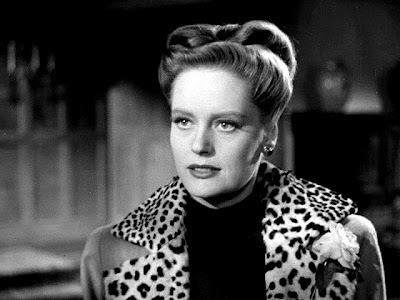 Now married to Barbara Stanwyck (who for once is not playing the femme fatale), Bogie begins a flirtation with the icy cool, but stunning, Alexis Smith (Night and Day). Stanwyck has plenty of reason to think she's next on Bogie's chopping block, as she starts suffering from a malady very similar to the one that afflicted her predecessor in her last days. The movie only plays at one level: shrill. 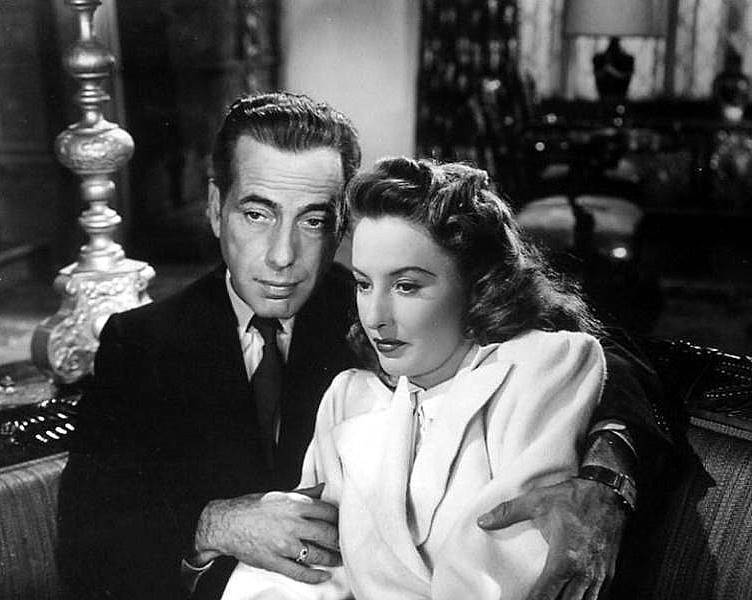 While it's interesting to see Bogie and Stanwyck team up, both reversing their usual roles, it wears thin quickly due to the film's excessive talkiness and overscored, keyed-up, musical accompaniment by Franz Waxman (Rebecca). Nothing to see here, except for Smith (pictured above), who's spot-on as the other woman, and a brilliant black-and-white transfer remastered for this release. A far better movie, ripe for reappraisal, is 1971's Wild Rovers. The pokey western stars William Holden and Ryan O'Neal (Love Story), a remarkably dynamic team, as two genial cowhands who decide they won't ever get ahead in life unless they rob a bank. This sets Joe Don Baker (Walking Tall) and Tom Skerritt (Alien), sons of ranch owner Karl Malden (On the Waterfront), in pursuit of the would-be bon vivants in order to recover their life savings. Blake Edwards (10) fashions a freewheeling, novelistic film which mimics the best of Peckinpah quite skillfully. It easily shifts from action to comedy, from lyrical mood piece to gritty drama, as it gently winds down to a dark conclusion. Warner Archive's release reconstructs Edwards' intended "roadshow edition," featuring an overture, entr'acte, and exit music derived from Jerry Goldsmith's fantastic score. Philip Lathrop's expansive cinematography captures a variety of terrain seldom seen in westerns, with the film somehow ending up in what looks like Monument Valley for its conclusion. Of all the films I've EVER seen come from Warner Archive, this lost classic is the easiest to recommend. The Bogarts here are truthfully passable, and WILD ROVERS only marginally more desirable in my opinion. is cause for celebration though. I have my order in!